Facial Virgin. That's me. Never have i in my 20+ years of existence gone for a facial treatment. Obviously my grooming in other areas didn't apply to skincare. Well, I'm really thankful to Yanni for taking such great care of my face, ensuring that my skin is repaired and nourished! 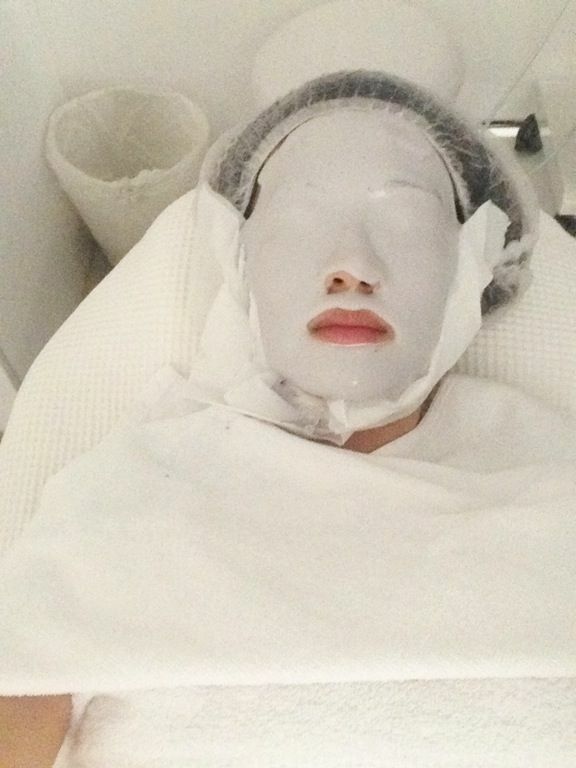 This time i decided to try the DRx Medispa Essential Facial (Plus) at Yanni's recommendation. This is DRx's fundamental treatment for good complexion and it has won CozyCot Holy Grail Award 2008 and All Time Favorite Facial of Elle Magazine's Beauty IT List 2009. Essential Facial treatment consists of Ultrasonic Cleansing, Ultrasonic Nutrient Delivery (PG-Vit) and a therapeutic mask, while Essential facial (Plus) adds Microdermabrasion to the program. After trying it for myself, I gotta say that I'm a huge fan! Anyway, since starting on DRx's products, there has been a visible change in the condition of my skin. Lorna was very happy with my skin color. She almost didn't recognize me when i went back for my first review. Hee. According to her, my skin was 2 shades lighter! There are also fewer bumps thanks to the Comedone Formula (CF) though there're still some little pimples. One thing for sure is the brighter skin. You should definitely use Max C if you want glowing skin. Step 1: Microdermabrasion. A diamond tipped hand piece is used to remove the superficial layers of skin with a diamond tipped handpiece. This was quite enjoyable actually and all i felt was a light suction. Absolutely painless. 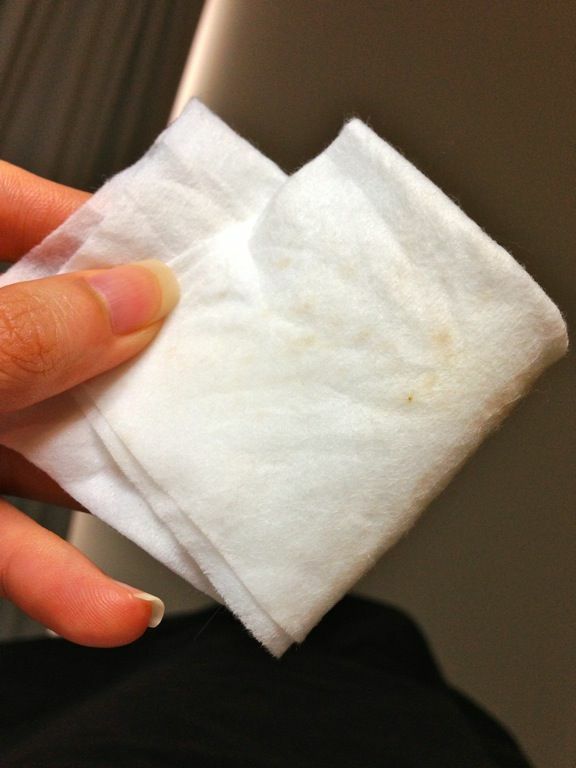 My skin was smoother immediately after. Here's my dead skin! Heh. When this treatment is repeated over time, your skin will have fewer lines, smaller facial pores and reduced superficial scars. I like! 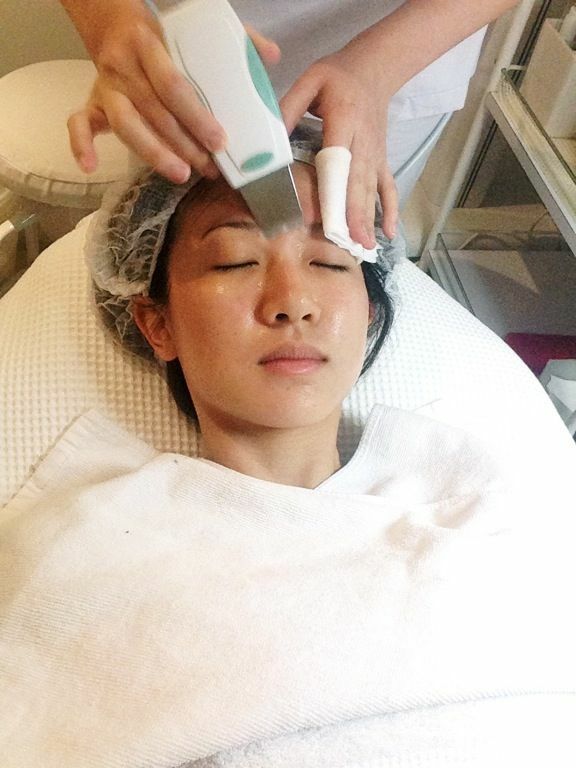 Step 2: Ultrasonic Cleansing. 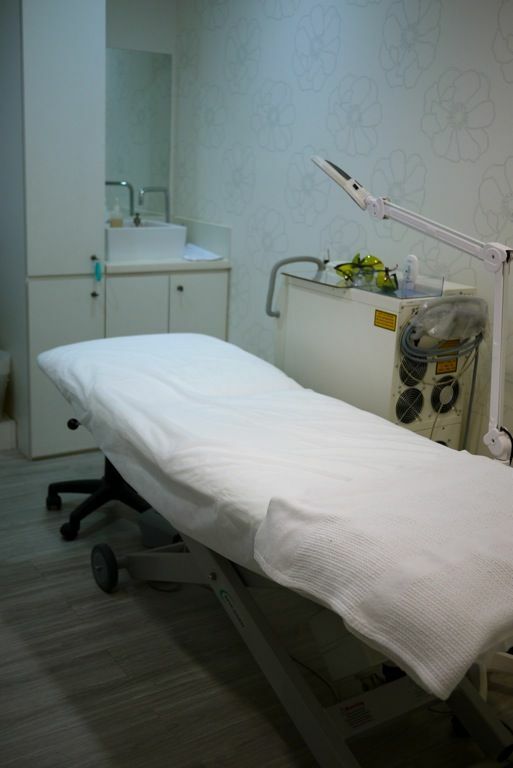 Ultrasound is used to eliminate dead cells from the skin surface and loosen impurities, oils and comedones (blackheads and whiteheads) that are embedded in pores. 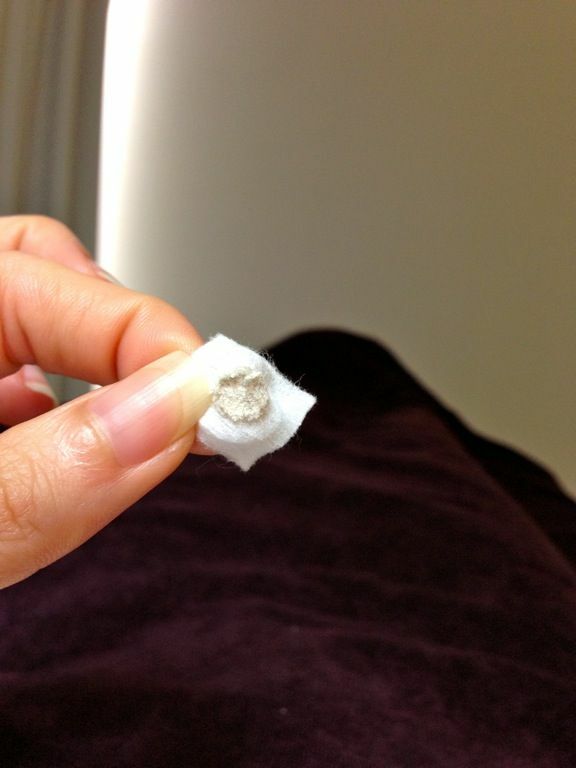 The blackheads can then be easily extracted. This prepares the skin for effective penetration of therapeutic substances that follow. It sounded like a dentist drill! O the horror. I was expecting it to hurt but there was only a light buzzing sensation on my skin. Look at the oil that was surfaced! EEEKS! For the Ultrasonic Nutrient Delivery (PG-Vit), Vennice, my therapist assessed my skin condition and decided that PG Vitamin C would be best for me. This stimulates the production of collagen in the dermis for firmer smoother and younger skin. 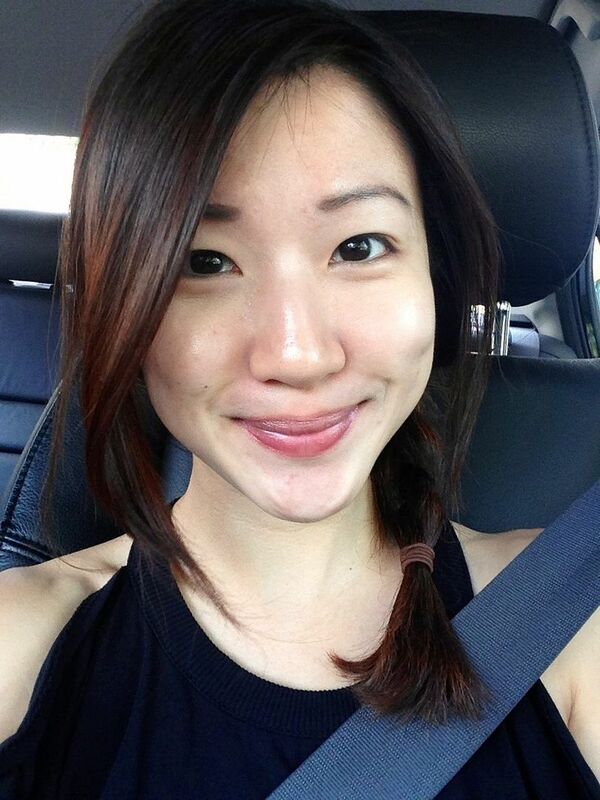 Vit C also helps with whitening and i swear my skin was glowing after the treatment. After which, my face was ready for extraction. That is the scariest word in any facial i swear. My virgin facial face obviously had a lot of things to be extracted. It was painful, especially for first timers but it was worth it. I've never seen my nose so smooth and void of strawberry heads my entire life!Vennice had to work darn hard on my face. Who knew that my relatively clear face had so many blackheads to remove. She did show some sympathy when i confessed that she's my first and she promised it will be better next time. 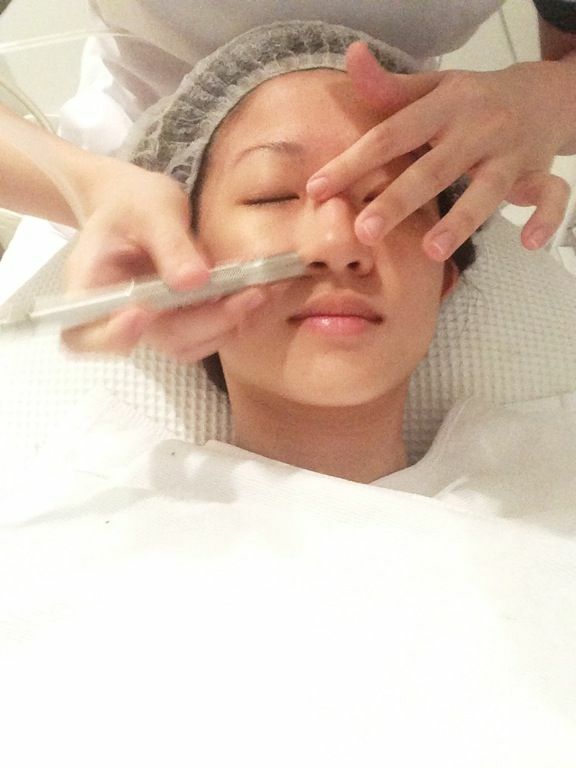 I got a shock when i saw my face after the treatment. There were big bumps where the blackheads were very stubborn. This is me sans make up and filter. :( Chester tried to console me by telling me that he has seen way worst and promised that my face will be fine in 3 days. 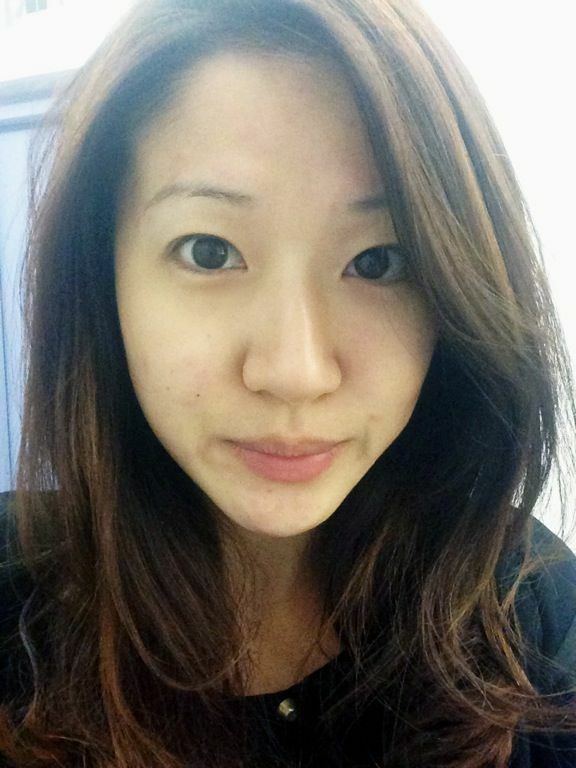 This is me 3 days later, with a little bit of concealer under the eye and drawn brows. Whee! With sun screen of course. This is my standard 'made up' face actually. The big red spots were almost gone and my skin was really glowing. Some lines from my Vit A which causes some drying, but yea. I'm extremely happy with the facial! The Essential Facial is $115 (45 mins) and $215 for the Plus version with Microdermabrasion (15 mins).